Artistic: The waxed leather has a similar color to oil painting, revealing the elegant artistic atmosphere, like a modest gentlemen in the hustle and bustle modern city. Its nobility is completely exposed on the fine texture of the leather.Gentleman: This elegant shoes is very suitable for gentlemen ,making you graceful and confident in any business occasions. A celebrity look should start from such a pair of shoes .Exquisite: Exquisite Brock carvings embody the superb craftsmanship and wearer’s pursuit of excellence.The wax cotton shoelaces is firm and durable, not fray after long time use, easy to care.Lightweight: The rubber foam out-sole has a good elasticity , which can greatly reduce the weight of the shoes to relieve the fatigue of the feet effectively. You can enjoy easy and comfortable walking without any noise. Luxury: With a streamlined and luxurious looking and 7cm height,this shoes show your energy and perseverance completely. The decorative lines on both sides greatly enhance its fashion level ,to avoid any monotonous and dull feeling. Light and comfortable: The rubber foam out-sole is more than twice in value as the ordinary rubber bottom, its advantage is that it can greatly reduce the weight of the shoes to provide a comfortable and lightweight wearing experience while having strong wear resistance and corrosion resistance . 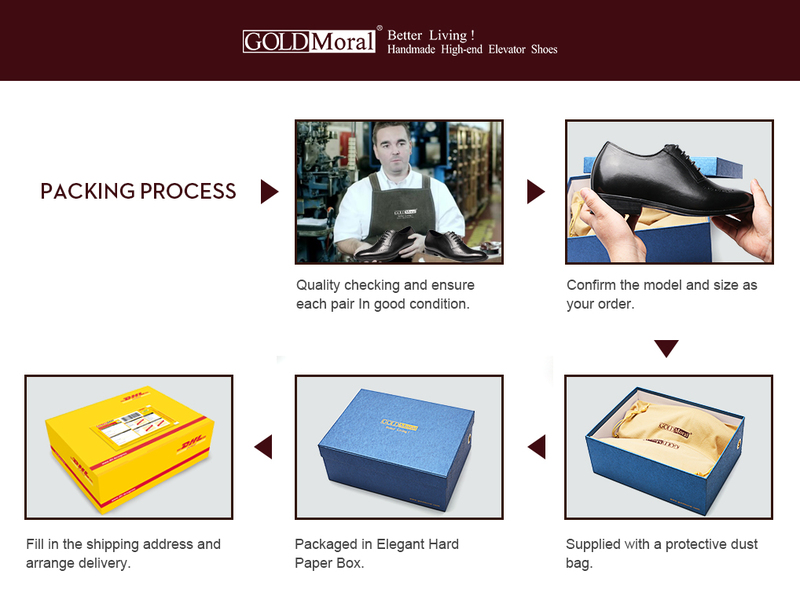 Convenient: Derby shoes classic style, one of the most traditional business dress shoes for men,is more convenient and comfortable to wear, suitable for those who have wider or thicker feet. It is decent in both formal and casual occasions.